Once upon a time, three kings came out of a distant land and followed a star to a little known town across the desert. They brought with them gold, frankincense and myrrh, and presents for a newborn child. But there was another king who set out on the long and difficult journey - the fourth king. 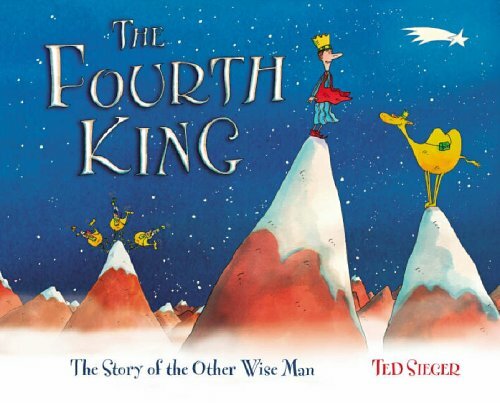 Unlike the others he arrived too late and empty handed...This heartwarming fable is not just the story of the other wise man (and his camel), it is also a tale to remind us of the true meaning of Christmas. Ted Sieger was born in South America but was brought up in Australia and Switzerland, where he now lives. He is a cartoonist, illustrator and award-winning animator. In the UK he is best known for the popular series Ted Sieger's Wildlife, which is regularly shown on CBBC.